When MOOC-mania hit first exploded, a general panic arose in higher education: Would MOOCs make colleges and universities obsolete? As the dust has started to settle and stakeholders have been able to assess the new technology, the general consensus (at least for now) is “No.” MOOCs will not kill higher education, but they will greatly impact how it is delivered. The same can be said for corporate training. According to Brian D. Voss, VP and CIO at the University of Maryland, the MOOC revolution is not just technological, but also pedagogical. Instructors across the board are being forced to rethink the best ways to deliver content and assess learning. In a previous article, we saw that the acronym MOOC is used to describe many types of courses, some of which very closely resemble traditional courses and others that are horses of a completely different color. Companies also have several options for how to integrate MOOCs into their training programs. For example, will the entire training be delivered via a MOOC, or will the MOOC be used alongside instructor-led training (ILT) as part of a blended learning environment? 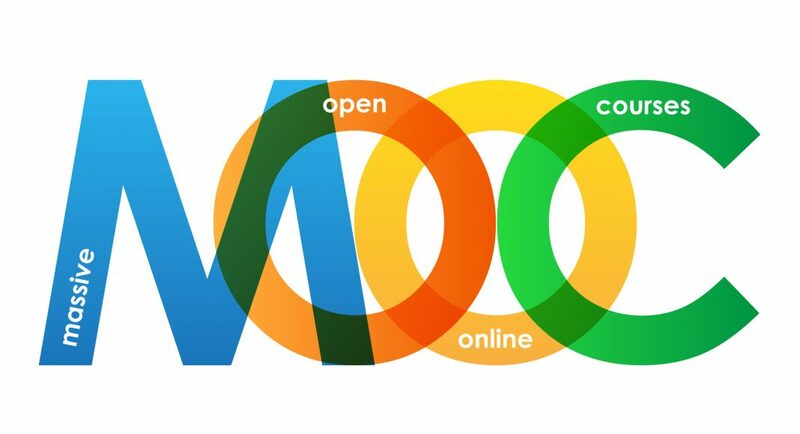 For training that will be delivered entirely via a MOOC, one option is to use MOOCs that are already available. Many organizations offer prepackaged MOOCs, and this is a very good option for workplace skills, professional development, and other parts of a training program that don’t require company-specific content. The Saylor Foundation offers a Workplace Skills Program that includes courses in computer literacy, professional writing, and time and stress management. They are also developing several technical courses as part of a Career Development Program, and in summer 2013 they expect to launch “Microsoft Excel for Beginners,” “Management and Information Processing,” and “Relational Database Applications.” ALISON is a MOOC provider that specializes in workplace skills and professional development, offering courses in business and enterprise skills, financial and economic literacy, digital literacy and IT, and even personal development and soft skills. To use these courses as part of a training program, simply have your employees take the courses online and then print out the certificates as proof of their completion – no additional training required. Another option is to build a MOOC from scratch. This is a good option for content areas where much of the material is already delivered through elearning or where generic courses have not been developed or are not sufficient, for example, sales training. Although nearly three-quarters of organizations already have a learning management system (LMS) in place, many of these LMSs are not equipped to handle the volume of a MOOC. Fortunately, there are several platforms available that make it easy to make your own MOOC. Instructure’s Canvas Network is an open-source LMS used by many schools and institutions. It is easy to use for both administrators and students, there are many options for communication, and it is available on mobile devices. Here are some other build-your-own-MOOC platforms to consider: Desire2Learn, ProProfs Training Maker, P2PU, and Google Course Builder (still in beta testing). You can also bypass the LMS altogether and set up the course as a wiki. For content areas that require more interaction and collaboration, organizations may choose to integrate MOOCs and ILT into a blended learning environment. This is the direction that several community colleges and other educational institutions are using to get the best of both worlds. Whereas replacing ILT with a MOOC certainly takes advantage of the technological innovations, the real benefits of MOOCs are pedagogical. Even institutions that are wary of MOOCs are still embracing their main pedagogical innovation: the flipped classroom. In the flipped classroom model, students watch video lectures at home and then use their classroom time to discuss the material and work on projects. Instead of just a space for knowledge transfer, the classroom becomes a collaborative environment for students and instructors to share ideas and collectively solve problems. The students are not only more actively engaged, their performance improves: studies in higher education have shown that students in flipped classrooms do better and have lower stress levels compared with those same students in traditional classrooms. This model can be equally applied to corporate and workplace skills training: employees could watch video lectures on their own and then use on-the-job training time to role-play, engage in hands-on training, practice their problem-solving skills, and participate in simulations. Another MOOC element that can be easily incorporated into a training program is working on collaborative documents to build an employee knowledge base. Many MOOCs have wikis that students can edit freely, which encourages them to share and collaborate. A wiki allows users to contribute their own knowledge and benefit from the knowledge of others, and the changes are instantaneous so there is no waiting for the system administrator to update the content. MOOCs are continuing to evolve, almost on a daily basis, as more instructors experiment with this new form of content delivery. As the technology improves, the tools will expand and the pedagogical benefits will become even greater and more salient. By investigating and incorporating the different MOOC options now, you can ensure that your organization is well positioned to adopt new technologies and pedagogies in the future.